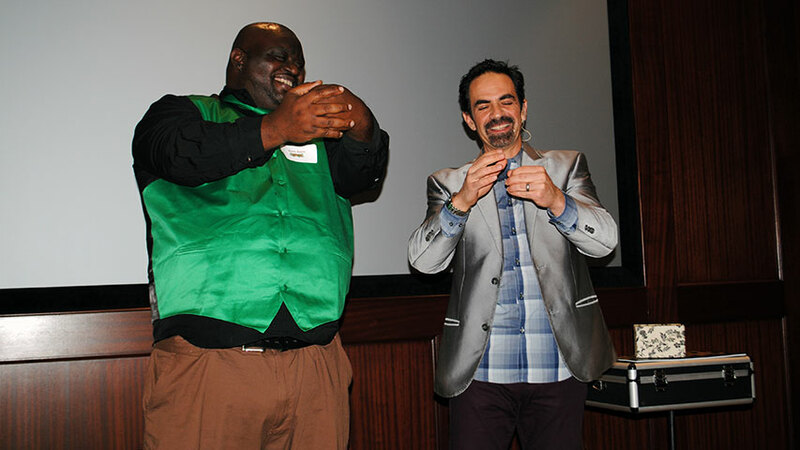 Find motivational speakers, comedians and clean entertainers in Oklahoma for your next meeting or event. Each of the keynote speakers listed below have recently performed their highly-engaging presentations in Oklahoma. This motivational presentation focuses on the importance of maintaining energy and purpose in one’s life and work, and suggests some ways to achieve and maintain a healthy productivity. Helps managers, sales people and employees to "keep the fires going." Laugh, learn and reduce stress with this upbeat presentation. Successful organizations know that happier, healthier, and less stressed people are more productive. 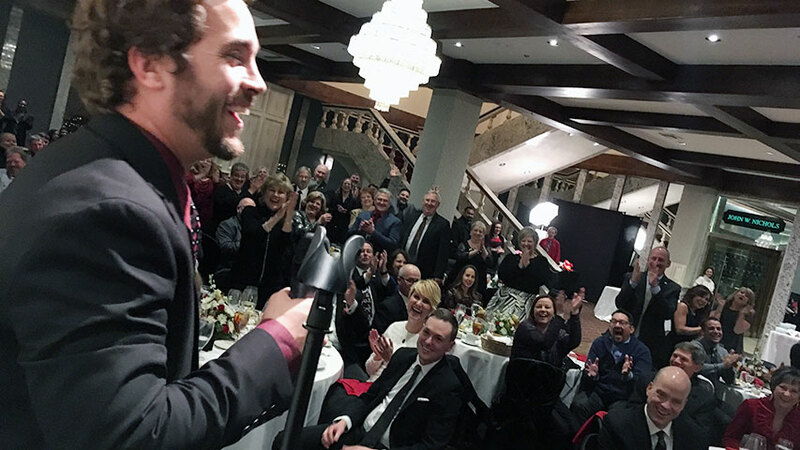 Fun awards show for your audience members hosted by a professional stand-up comedian. Recognize that employee, volunteer or staff member who takes the last cup of coffee, is always losing paperwork, or can never be found. "We were very impressed with Paul Miller's presentation and how he got the attendees involved. Everyone had a great time and are still talking about it. Very professional and a good example on how to deal with clients to build relationships." "The feedback on Charles Petty from staff was very good and they connected with his overall delivery of a serious message in a light hearted way. He tailored his comments to fit nicely with our overall theme and he gave hilarious illustrations of the points he was making. I would give high recommendations to anyone looking good old fashioned uplifting yet meaningful keynote." "Very impressive. Joshua Lozoff kept the audience entertained through his entire show." "Oh My Gosh, Mike was perfect. It was a wonderful evening." 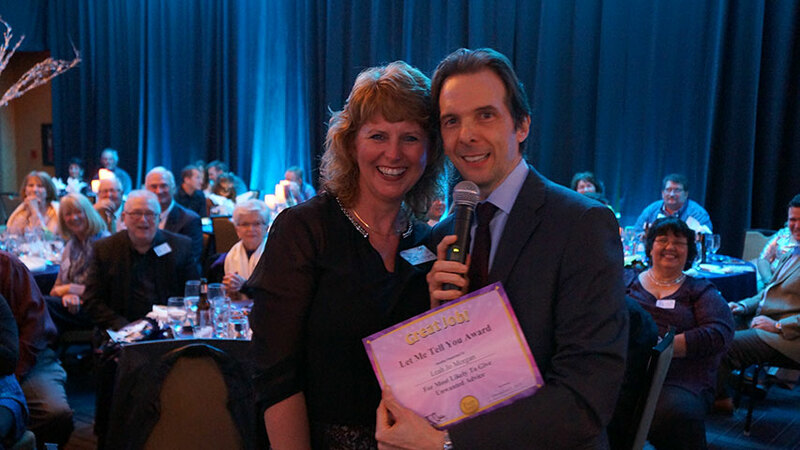 "Our entertainer John Felts was perfect for our event. Very funny guy!! John introduced himself to me when I arrived at the party so I didn’t have to worry about him showing up. He was all set up and had coordinated sound and video with the staff. I have received several comments from my employees on how much they enjoyed his show and the fact that it was a clean show with no profanity or inappropriate innuendos. I would highly recommend John Felts." "We truly enjoyed Joshua's performance. When I came back to work Monday, everybody was talking about what a great time they had and just amazed by his performance. They really, really enjoyed his show. I don't know how many times during the night Bob and I would turn to each other and exclaim, ‘WHAT?! NO WAY’ Having already watched some of his videos he still blew us away. Joshua definitely has a gift with what he does." "David Ferrell did an excellent job, he had the attendees involved and used them to help direct the flow. The presentation was very entertaining without being vulgar or offensive, in which most comedians think they have to do. The attendees were well pleased and responded the same way as per the quality and clean entertainment." "We enjoyed Lyndy very much. Our banquet got off to a slow start with our caterer being behind. When Lyndy took the stage to perform everyone relaxed and enjoyed the evening. Thank you very much." "Larry Weaver made my very first event a success. I really appreciate the wonderful job he did. He catered to our audience and brought a fresh and new type of entertainment we don't normally see in our part of the world. We will be using him again." "Larry Weaver was a huge hit at our company Christmas Party. His act was the perfect blend of customized company humor and general humor. The funny employee awards were the icing on the cake of his performance. His clean yet hilarious jokes allowed the group of diverse employees to bond. Employees raved about him after the event, especially the CEO. He said that he's never laughed as hard as he did that night. Thanks Larry for making me look good for my boss! Not only was he awesome the night of the party, but working with him before the event was a breeze. He was professional, organized and friendly. I would recommend Larry to any group or company to spice up their next event." "I just wanted to say THANK YOU to Lyndy for speaking at our convention. He was OUTSTANDING, FUNNY and kept the attention of all the attendees, which on the last day and final hours of convention that is success at its greatest. He kept them entertained yet provided a message that they could take home with them to reduce stress and put laughter in their day. In the long term care business sometimes a laugh is hard to come by, but he made sure they laughed a lot that day and I truly appreciated it. I am already worried how I will find such a great closing speaker for next year - you have put the pressure on me." "Lyndy was great with his clean humor. Great way to end the convention. I would recommend Lyndy without reservation." "Jerry Carroll did a wonderful job, was on time, stayed around and visited with folks. I would definitely recommend him to others." "Jerry Carroll did a great job. It was very nice working with him." A few of the towns our nationally-touring keynote speakers have performed in include: Altus, Broken Arrow, Cleveland, Durant, Enid, Mangum, Marietta, McAlester, Meno, Midwest City, Norman, Oklahoma City, Owasso, Poteau, Siloam Springs, Tishomingo, Tulsa, OK and others.